Good auto parts are nothing without the right car tools to install, remove or repair them. Eastwood founder Curt Strohacker knew this when he created the company in 1978 and had the first Eastwood Company catalog printed. And it's reinforced every time we visit a car or trade show. We've found thousands of auto tools over the years that do the things professional mechanics, car restorers and DIY enthusiasts need them to do. And when we haven't been able to find them elsewhere, we've just made our own! Our garage and shop tool section has all the right supplies for anyone whose idea of a good day is working on their motor vehicle. 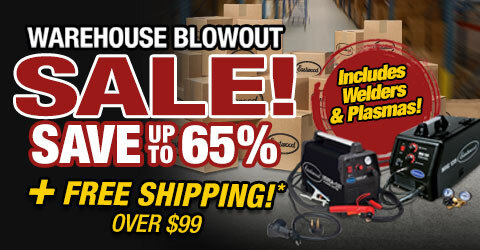 From door handle to door handle and bumper to bumper, Eastwood is where to buy tools. We carry a huge selection of electric power tools and pneumatic tools for high-powered cutting, drilling or grinding. And when you need to reach tight spaces, we have plenty of classic hand tools such as pliers, hammers, screwdrivers and socket wrenches. Visit our engine, brake or suspension tool sections for the specialty items needed to do maintenance or repairs in these areas. Other categories include HVAC tools for air conditioning systems, measuring tools for precision readings and tap and die sets for repairing old raggedy bolt threads. As vehicles have evolved over the years, so have the tools needed to work on them. Eastwood has all the newest equipment for fixing modern cars. We've greatly expanded our inventory of electrical car tools as electronics have played a bigger and bigger role in vehicle function. We also have a variety of digital tools such as torque wrenches, diagnostic readers and compression testers for getting the most out of any car. But if vintage shop tools are your thing, you can still find them for doing old-school work on restorations and classic cars. Whether you're restoring a 1960s Harley, building a race car or just need to change the oil in your commuter vehicle, come to Eastwood for all your auto needs. The tools we sell come from dozens of leading international brands such as AC Delco, Fairmount, Dewalt, Ingersoll Rand and Merrick. And our Eastwood automotive tools developed in-shop offer an affordable alternative. 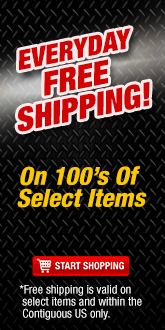 Begin your search today for individual tools or complete car tool sets and kits. Our experts are available by phone or email seven days a week to answer questions. And if you live near one of our brick-and-mortar stores, you can stop in and try many tools before you buy!